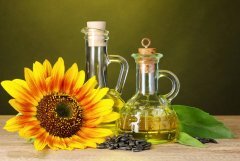 Generally speaking, oil extraction is a modern way to extract the maximum amount of oil from oil bearing materials by means of the food grade solvent, usually hexane. 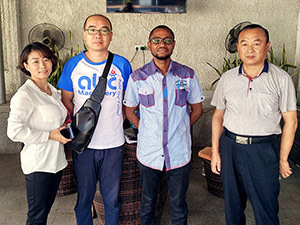 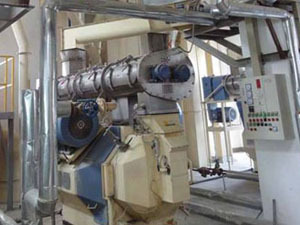 Oil extraction plant is designed not only to extract oil directly from oil seeds which contain less than 20% oil after flaking, but also to extract oil from pre-pressed or fully pressed oil seeds cake, which contains more than 20% oil. 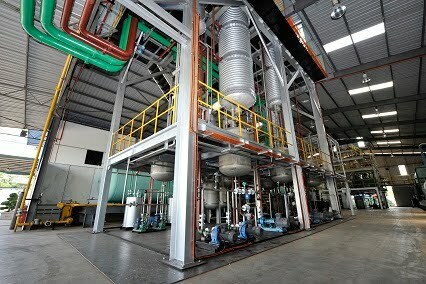 The design of our oil extraction plant is simple, stable, and operator friendly flexible. 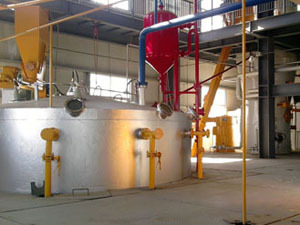 Our oil extraction plant is horizontal and running on the principle of counter current and moving bed with variable bed height and different speed mechanism, permitting excellent penetration and percolation of solvent for absolute extraction. 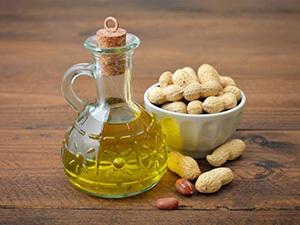 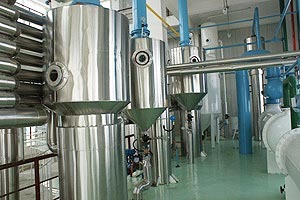 Well preparation of oil seeds: separate oil seeds from other contaminants and pre-press them. 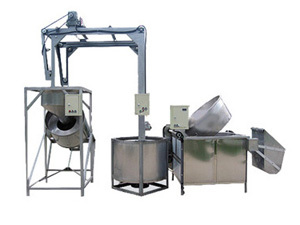 Put the well prepared oil seeds into the feeder hopper of our oil extraction plant, and an articulated band conveyor inside the extractor will transport them at certain speed from the feed end to the discharge end. 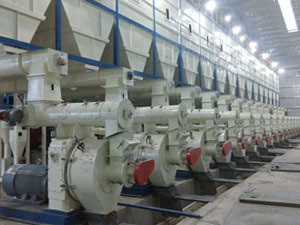 The transporting speed can be adjusted. 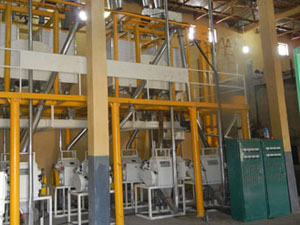 A series of sprayers are located above the band conveyor spraying solvent onto the oil seeds in the moving bed. 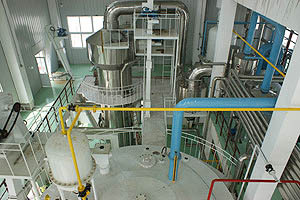 Each spraying section is followed by a draining section. 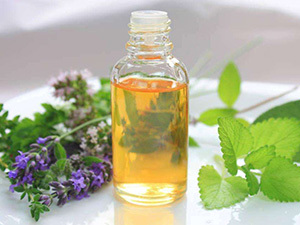 Fresh solvent is admitted into the extractor near the discharge end of the moving bed of material and the full miscella is recovered from the initial stage; thus ensuring the perfect counter current flow of material and the solvent. 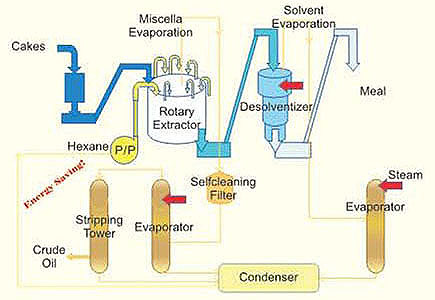 The distillation takes place in vacuum, and the extracted oil is collected by vaporizing solvent out which is later recovered. 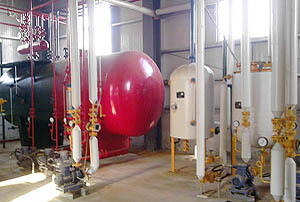 Developed by BMC, solvent recovery system from vent gas is particularly absorbent. 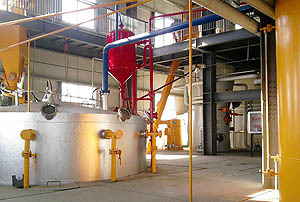 Our oil extraction plants have been exported to many countries and won high reputations both domestically and abroad, as we hold the expertise in manufacturing and exporting oil extraction plants globally.